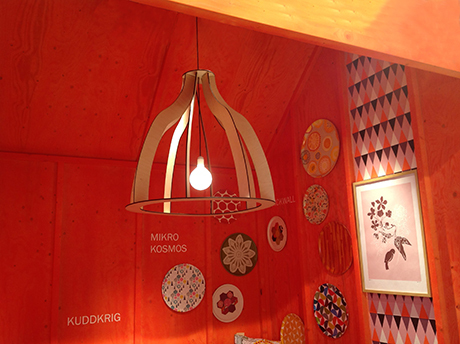 Plywood Chandelier was chosen by Rossana Orlandi to be shown in her gallery in Milan during 2010. Exhibited at Salone Satellite/Salone Internazionale del Mobile 2010 Milano. A chandelier undressed. Like a plain drawing or construction. Simple and delicate. A chandelier looking back and ahead - made in wood as the first ones during the Middle Ages but with modern technique as the lazer cutting. 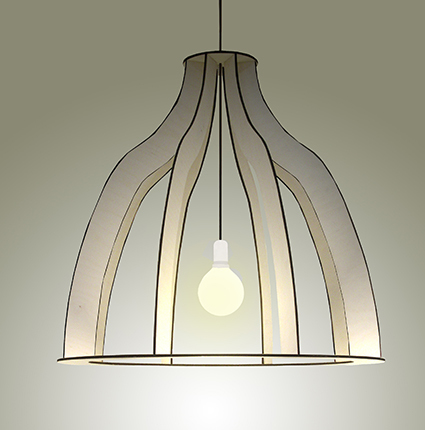 An old symbol of luxury and status in plywood with burned edges and energy saving light. A chandelier of the 21th century. Material: Lazercut plywood, burned edges. Energy saving light bulb.